It prepares a very level seed bed. Does not powder the topsoil in dusty and windy locations. 5/16″ round teeth penetrate the ground deeply to kill weeds before they can grow, and are perfect for weeding of emerged crops. Closes small subsoil air pockets, preserving valuable soil moisture. Heat Treated teeth are resistant to breakage in rocky soil. We manufacture Coil Spring Tine Harrows in 5’ 6” & 6’ 0” widths. Built of high carbon steel for extra strength and better working action of the teeth. Not too heavy and yet, so strong! Double reach bars (over and under the pipe), as well as cross braces, add strength to the section. This helps prevent side-play and hold the tooth bars in alignment even under the toughest conditions. With our six position lever assembly, changing tooth pitch is easy. 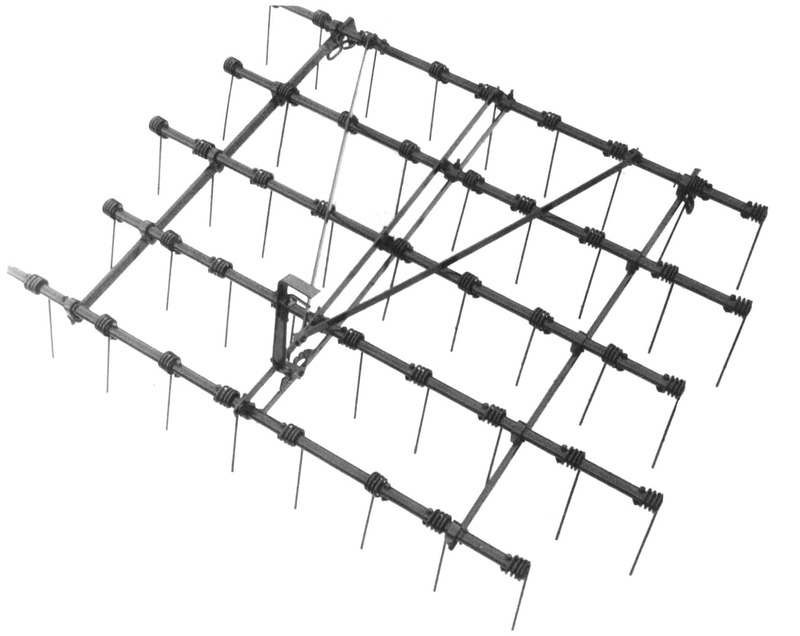 This allows you to easily find the angle best suited to your soil conditions. High carbon steel tooth bars give incredible strength and wear resistance. Each tooth bar is held firmly in place to assure every tooth is thoroughly working the soil. CSL tooth bars are spaced farther apart than regular harrows to ensure that they always pull level. Sure trailing draw hooks, with their open ends down, always stay hooked and pull evenly. Their placement also keeps the harrow positioned down for deep and consistent soil penetration.